In a new paper published in Nature Communications by the group of Prof. MacAry at National University of Singapore, they present the development and characterization of an antibody targeting a cell surface receptor, which is involved in regulation of the immune system. TThe aim is to avoid an unwanted immune response at transplantations. At e.g. blood transfusion, transplantation or pregnancy it is common with an unwanted immune response. Prof. MacArys team describes in the paper how they have developed a so called alloantibody. Alloantibodies are antibodies in an individual that react with antigens produced by members of the same species. Alloantibody responses against certain cell surface receptors that are involved in the regulation of the immune system, so-called HLA molecules, can be triggered by events such as blood transfusion, transplantation or pregnancy. For example, if an alloantibody interacts to an HLA molecule on grafted tissues it can result in the activation of players of the immune system to attack the graft. In this article, a recombinant monoclonal antibody against a common Asian HLA allele, HLA-A*11:01, was isolated using phage display. Thereafter, a thorough biochemical/biophysical and functional characterization of the antibody was performed. It has been proposed that affinity is a critical factor affecting the pathogenicity of alloantibodies. 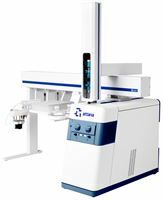 Thus, Attana’s technology was used to determine the affinity and analyze the kinetic interaction profile of the antibody. The Board of directors for Attana consider that the information in this press release is not likely to have a significant effect on the share prices, but is of general interest for the shareholders and hence should be communicated. 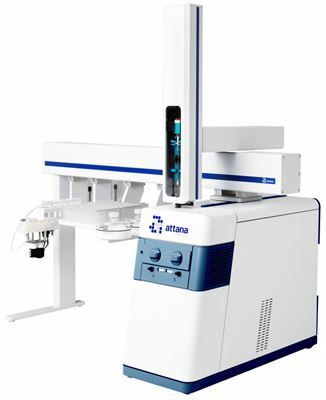 Attana was founded in 2002 with the vision of in-vitro characterization of molecular interactions mimicking in-vivo conditions. Since then, Attana has developed proprietary label free biosensors for biochemical, crude, sera, and cell-based assays. Attana’s products and research services are used by Big Pharma, biotech companies and academic institutions within the life sciences. To learn more about Attana’s contract research services and our label free cell-based biosensors, please visit www.attana.com or contact sales@attana.com.